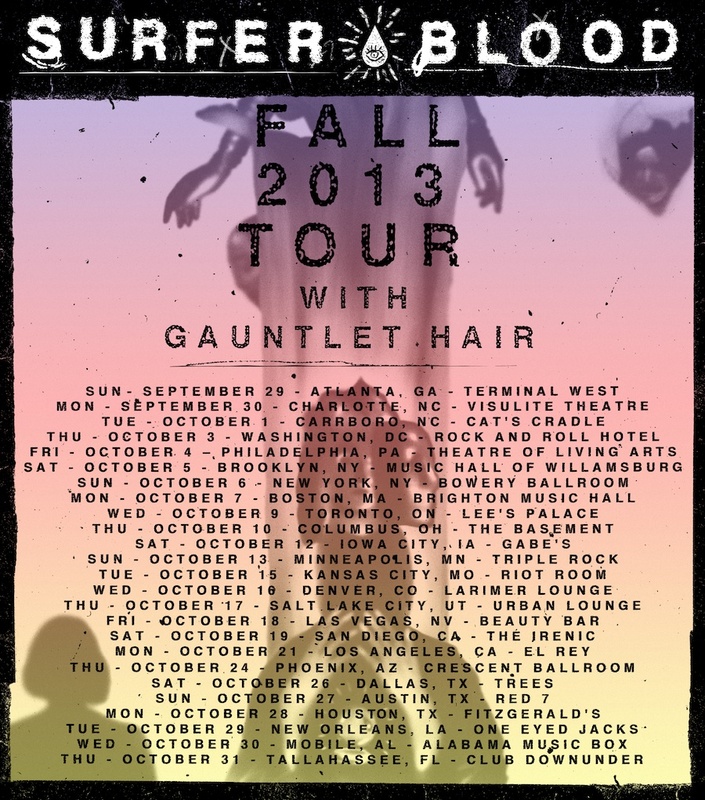 Following their tour in support of Foals earlier this year, Surfer Blood (and Kanine) are happy to announce their headlining tour this Fall, with Chicago’s Gauntlet Hair in support. Check out the schedule to see if they are stopping somewhere near you! Also, check out this brand new live version of “Weird Shapes” below.